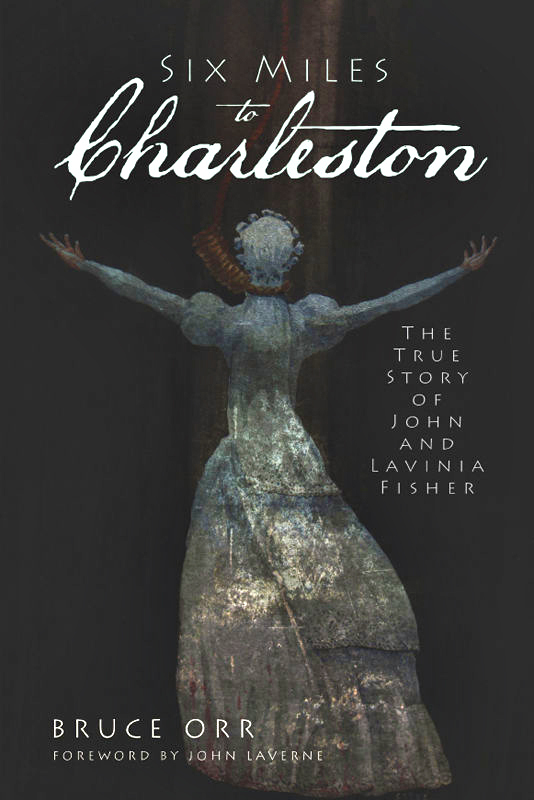 LAVINIA FISHER is considered to be America's first female serial killer, and at her execution by hanging (February 18, 1820 in Charleston, South Carolina –– her husband was hanged the day before) she is reported to have cried out to the crowd, "IF ANY OF YOU HAVE A MESSAGE FOR THE DEVIL, TELL ME NOW –– FOR I WILL BE SEEING HIM SOON!" 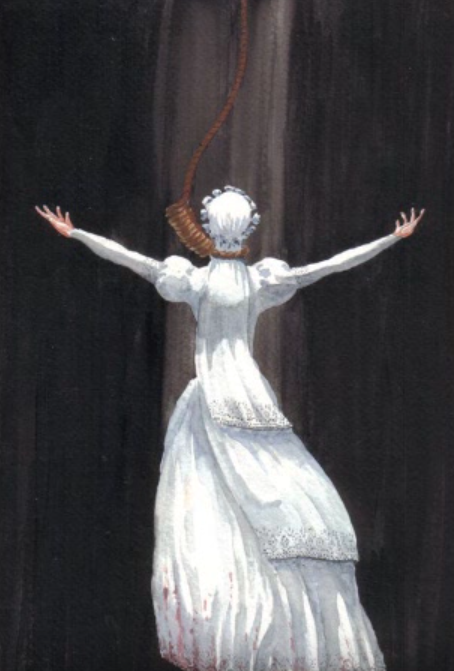 She then jumped of her own accord and hanged herself. Lavinia Fisher would invite lone travelers into the Six Mile Way Farer House for dinner with her husband, John Fisher, and ask them questions about their occupations, trying to determine if they had money. She would then send them up to their rooms with a drugged cup of tea intended to put the men to sleep for a few hours. When they were almost asleep, Lavinia would pull a lever and the bed would collapse and drop the victim into a pit. Some believed that there were spikes waiting at the bottom of the pit. 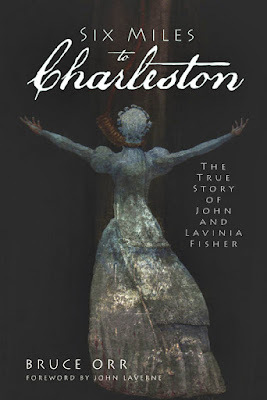 Much of what actually occurred in the alleged murders at the hands of John and Lavinia Fisher has become wildly exaggerated through time, so factual details are hard to find. However, contemporary news accounts in the Charleston Post and Courier, claimed that a vigilante gang went to the Fishers' neighborhood in February 1819 to stop the purported 'gang activities' that were occurring there. 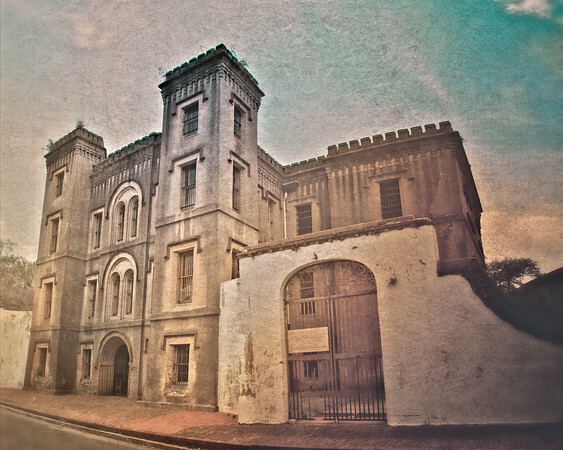 Satisfied that they had accomplished their task, the group returned to Charleston, but left a young man by the name of David Ross to stand watch in the area. Early the next day, Ross was attacked by two men and dragged before the gang that had terrorized the region. Among them was Lavinia Fisher, to whom he looked for help. However, rather than help him, she choked him and then smashed his head through a window. Ross managed to escape and immediately alerted authorities. Immediately following this incident, another traveler named John Peeples asked if there were any vacancies; Lavinia replied that there was unfortunately no room, but he was welcome to come inside and rest and have some tea. John happened to hate tea, and not wanting to seem rude, he dumped it when she wasn't looking. She interrogated him for hours and eventually said she discovered that in fact, they did have a room. He then went to bed. He had felt suspicious about the interrogation and was worried about being robbed, so he decided to sleep in the wooden chair by the door. In the middle of the night, he awoke to the loud sound of the bed collapsing and discovered the Fishers' plan. He jumped out the window and rode to Charleston to alert the authoritie. Based on these two accounts, the assailants were finally identified by name, something that law enforcement had previously lacked. Police were immediately dispatched to the location and during the ensuing investigation Lavinia and John were located, along with two other gang members. John Fisher surrendered the group in an effort to protect his wife and shield her from possible gunfire. Later, during interrogation, he again attempted to protect Lavinia by giving the identities of all involved in the gang. Charleston "Old City Jail" where Lavinia and her husband were hanged. No truer words about writing have I ever read.